Contrary to popular belief, curling is Scotland's, not Canada's, national sport. Internationally governed by the World Curling Federation in Perth, curling has existed in Scotland since at least the sixteenth century. Young men played a game involving sliding stones across the ice at Paisley Abbey in Renfrewshire as far back as 1541. 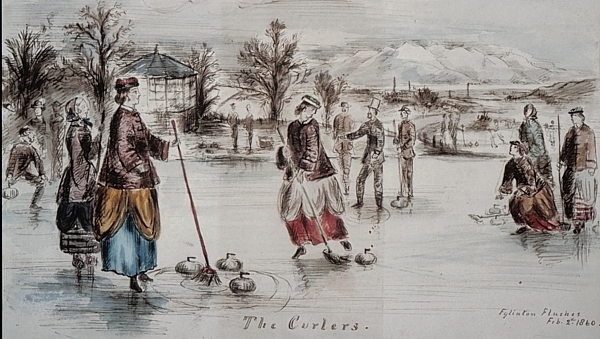 The word curling first appeared in print in the preface of a poem written by Henry Adamson of Perth in 1620. It is derived from the Scots verb curr, which means "to make a low murmuring." 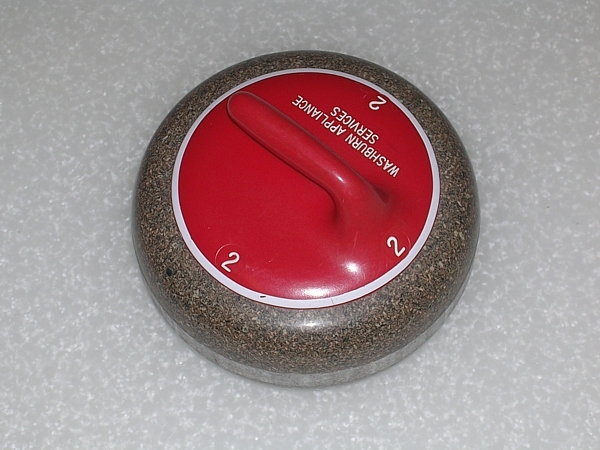 Curling, in fact, was dubbed "The Roaring Game" because of the sound the stone makes as it travels over the pebble (the name for the rough texture of the playing surface). The Kilsyth Curling Club of Stirling was formally constituted in 1716. 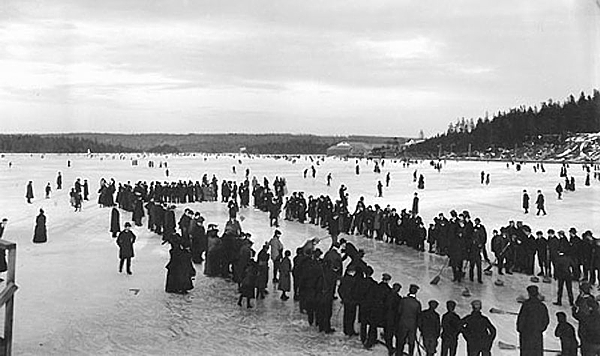 Still in existence today, it also claims the oldest purpose-built curling pond in the world. 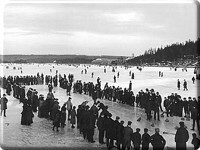 The sport enjoyed great popularity during the nineteenth century, as the climate ensured good ice conditions for each winter. Celebrities like Robert Burns and Sir Walter Scott applauded the manliness of the game, finding in it uniquely Scottish characteristics. The Royal Caledonian Curling Club formed in Edinburgh to regulate the rules of the game. Queen Victoria granted the club a Royal charter in 1843 after having witnessed a demonstration of the sport played on the polished ballroom floor of Scone Palace the previous year. The World Curling Federation originated as a committee of the Royal Caledonian Curling Club in Perth in 1965, and became an independent organization in 1982. The WCF officially recognizes the Royal Caledonian Curling Club as the Mother Club of Curling. Today, the RCCC's objective is "to unite curlers throughout the world into one Brotherhood of the Rink." When the game first began, the thrower had little control over the stone, and had to rely more on luck than skill if he hoped to win the match. These curling stones were simply flat-bottomed river stones that were sometimes notched or shaped. 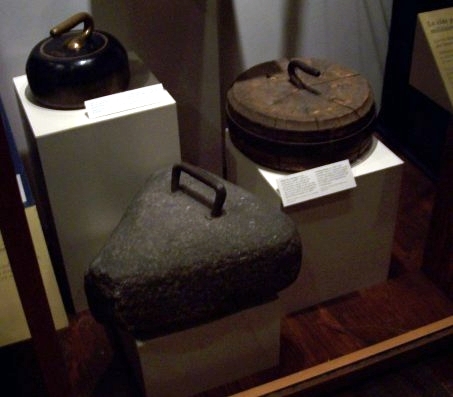 Two sixteenth century curling stones were uncovered in Dublane when an old pond was drained. The younger dated from 1551, while the older bore the inscription, "St. Js B. Stirling. 1511". The oblong basalt rock measured 9 inches in length, 7½ inches wide, and 4½ inches tall, and weighted 26 pounds. Its side also bears a 1½ inch-diameter thumb hole, and 3½ inch-long finger grooves. 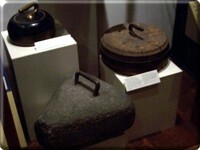 The stone is currently on display at the Stirling Smith Art Gallery and Museum. Scottish emigrants took curling with them when they left for Canada, where the sport today is the most solidly established. According to legend, the first curling game in Canada was played in 1759 by Fraser's Regiment of the 18th Highland Division after the fall of Quebec. The soldiers supposedly melted down cannon balls to make their curling stones. Whether that is true or not, curling did indeed provide the basis for the formation of the oldest active athletic club on the continent, the Royal Montreal Curling Club. Beginning in 1807, twenty Scotsmen met on Wednesday evenings every other week to curl. Other curling clubs followed. The first club in Upper Canada was formed in 1820 in Kingston, and the first club in the United States came to the Detroit are in 1830. 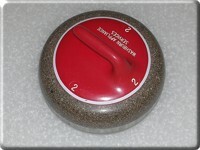 Based thirty miles from the city, the Orchard Lake Curling Club first used "stones" made out of hickory block. Ten years later, a Detroit-based Scottish organization called the Thistle Club began to curl on the Detroit River when the ice was suitable. The Detroit Curling Club, which belongs to the Ontario Curling Association, officially formed in 1885 from an amalgamation of several different curling clubs. Before the end of the nineteenth century, Scots had also introduced the roaring game to Switzerland and Sweden. 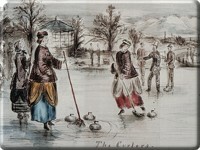 Today, curling is played all over Europe, and has even spread to Japan, China, Korea, Australia, and New Zealand. Curling has not, however, penetrated any country's national consciousness more thoroughly than it has in Canada. In fact, a Canadian team from Regina, Saskatchewan, even won the Scotch Cup, the world's first curling championship tournament, in Falkirk in 1959.